DIY Income Investor: Investing in Commercial Property: 8% Yield and 20% Discount! A simple approach to successful personal investing with the goal of generating a growing income from a portfolio including cash savings, shares, corporate bonds and government-backed investments, using online savings and brokerage accounts and shielding your investments from tax wherever possible. Investing in Commercial Property: 8% Yield and 20% Discount! Commercial property is in the doldrums in the UK. But in time this is sure to change, as the economy recovers. OK, this won't be tomorrow but could this be a medium-term opportunity for the DIY Income Investor? Now, I'm not suggesting buying property - that would be too much like hard work, as well as being risky. But is there another way to buy in to property - and one route currently offers an 8% yield and a 20% discount. Interested? I'm not generally keen on collective investments, like unit trusts and funds, due to the high level of fees, the advertising hype and the lack of sustained performance. However, for property investment an investment trust might be the only practical approach for the DIY Income Investor. One example - highlighted in a recent article in Investors Chronicle is Picton Property Income Investment Trust, based in Guernsey, with a portfolio of 70 commercial properties in the UK, split equally between the three main sectors: retail outlets, offices and industrial estates or warehouses. Primarily because of its 'low profile property' portfolio (80% outside London) and gearing (but less than 50%) Picton is expected to pay out 4p in dividends this year. With the shares currently on offer for 49,5p (late July 2011), investors can therefore buy a property-backed income return of over 8%. And Picton does not pay out more than its recurring income - unlike some other Guernsey-based property investment trusts. What is more, the investment trust is trading on a 20% discount to the value of its Net Asset Value (as valued on 31 Mar). This discount appears to be due to the refinancing due in 2013, although the Investors Chronicle seems to think this won't be a particular problem. Picton Property Income was previously called ING UK Real Estate Income, but was bought out by the local management team. In April, Chairman Nick Thompson said the company was considering converting to a REIT in the wake of the government’s plan to scrap the REIT conversion charge - which might make it more attractive to private investors. So, this may be an opportunity to grab a good yield plus the possibility of capital gain. The downside is the Guernsey domicile and the need for refinancing. Do you have a view? Update 25/10/12: Citiwire carried a report on the trust, describing some of the financing and valuation problems. The Trust has also significantly cut its dividend. So, although this may now be a possible recovery play (because of the NAV discount and a more sustainable dividend policy) it is no longer an 'income' investment. I am not a financial advisor and the information provided does not constitute financial advice. You should always do your own research on top of what you learn here to ensure that it's right for your specific circumstances. This post is really informative. 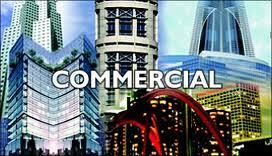 your post on commercial property and its shaking situations in various property market is great. Thanks for sharing such a useful post. Virtually every high street bank and building society operate savings accounts designed for children and it is important to assess the rate of interest as many bombard you with free gifts that may be initially attractive to your offspring but are not as valuable as a higher interest rate. 8% yield, 20% discounts. Wow, I am both amazed and shocked. Anyways, thanks for the interpretation. What's Happened to Yahoo Finance? And Is There an Alternative? Excel Tutorial: Scrape a Share Price! High Yield or Dividend Growth? Original material is Copyright. Powered by Blogger.